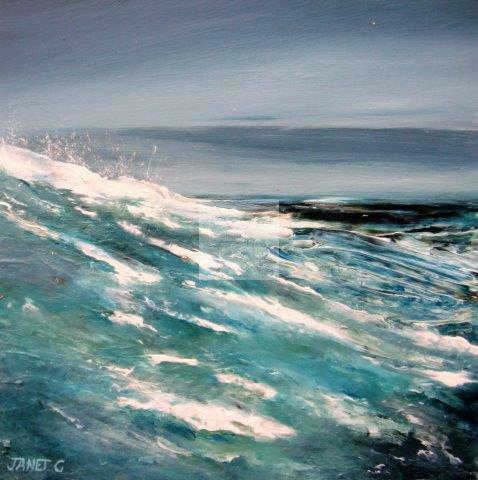 'Rising of the Wave' is textural painting on board using acrylic medium. It has been framed in a wide, flat, plain, white wood frame and measures approx. 16" x 16". Please email me for further details about this painting.